Do you or someone close to you . . .
Feel lost or confused in the clinic, care facility, or hospital system with a serious illness? Have questions about your medical condition but not sure what, whom, or how to ask? Feel like you have to figure out the answers to your health questions on your own? Have health problems that are a mystery not only to you but also to your doctors? Need a more holistic approach to your health to reduce your need for medical pills, procedures, and surgeries? Need a better way to lose weight without resorting to dietary fads, stimulants, prescription drugs, or surgeries? Have struggles with insurance claim denials or medical billing problems? Feel like you aren’t getting the best care and need an independent advocate to help? Wish you could talk to a doctor who takes the time to listen and explain things to you? 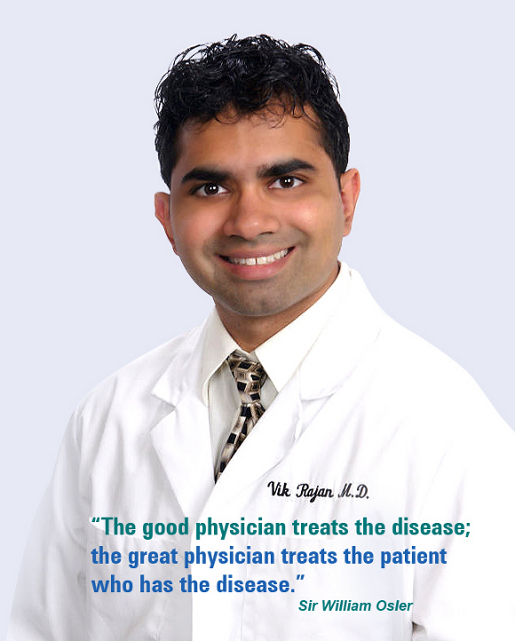 Wish doctors would understand you as a whole patient instead of individual diseases? Wish you had an independent medical expert to review your care in the clinic, care facility, or hospital to help prevent medical mistakes from happening? Wish you had a “doctor in the family” as your personal medical guide? If you answered yes to any of the above questions . . .
We know how you feel, and would love to help you out! 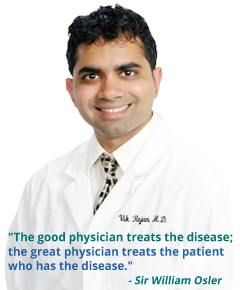 I’m Dr. Vik Rajan, M.D., president and founder of Houston Patient Advocacy, board certified in internal medicine, pediatrics, nephrology, and integrative medicine (ABPS), and a native Houstonian. I originally started HPA as a private patient advocacy practice on my own in 2010 due to the experiences my mother faced during my years in medical training, which required me to advocate for her health care during the last eight years of her life. To read more about this story, click on “HPA’s INSPIRATION”. Over the years, I expanded HPA to include medical billing advocacy and concierge integrative holistic health coaching and weight loss, and ultimately started my own clinic in 2017 called Concierge Integrative Medicine of Houston (www.conciergeintegrativemedicine.com). Since 2010, Houston Patient Advocacy (HPA) has served clients in the Greater Houston Area and throughout the State of Texas providing a private patient advocate, integrative holistic health and weight loss coach, or medical billing/insurance advocate to help clients achieve better health with less prescription drugs, improve the level of clinical care from their providers, and reduce the costs of large medical bills and insurance claim denials.